Mark Winterbottom says he is finally comfortable in his Prodrive Falcon following “10 months” of toil, after setting the third-fastest time in ITM Auckland SuperSprint practice. 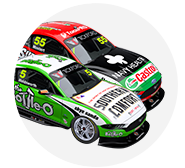 The 2015 Supercars champion is seventh in the standings with two events remaining, and facing his first season without a victory since 2005, the year before he joined what was then Ford Performance Racing. Winterbottom finished the Friday running at Pukekohe in third place, with team-mates Cameron Waters and Chaz Mostert first and fifth. 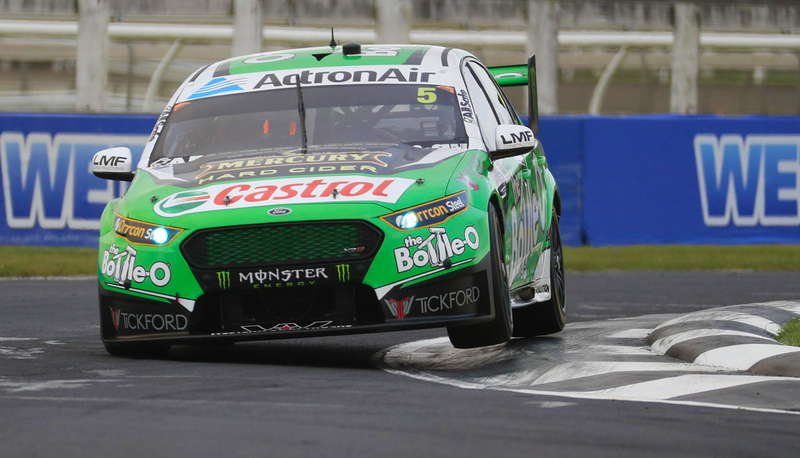 Waters and Mostert have both won this year, and Winterbottom said his car was the best it has felt at any stage during a frustrating year. “We had a good day, which was nice,” he said. “It’s sort of taken 10 months to get my car to where I feel comfortable and now we can start to get some good results. “We just haven’t been quick enough [so far this season]. “The car hasn’t been doing what I want it to do, there’s been many dramas, a few mechanical things with brake dramas and a few things. Winterbottom said the brake problems early in the season hindered set-up work with his Bottle-O Falcon, while recent wet races have masked progress. The 36-year-old believes engineer Brendan Hogan now has “got a lot more confidence in his decision making, and we’re working better to get it right”. “At the start of the year we had a lot of brake dramas and stuff like that,” he explained. “So a lot of the stuff you tried was irrelevant because whatever you did you had inside-front locking. “You chop and change, it’s not easy to do at the track, bolt something in and change your driving style to suit that car and what not. It just sort of carried on. Winterbottom was baulked on his final run on green tyres by Shane van Gisbergen, as the Red Bull Holden Racing Team driver emerged from pitlane. 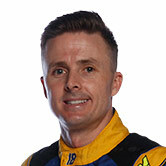 The defending champion sought out Winterbottom at the end of the session, which he felt was rare. “I’m not sure why he apologised, because he does it regularly to a few of us guys [and not apologised],” Winterbottom said.